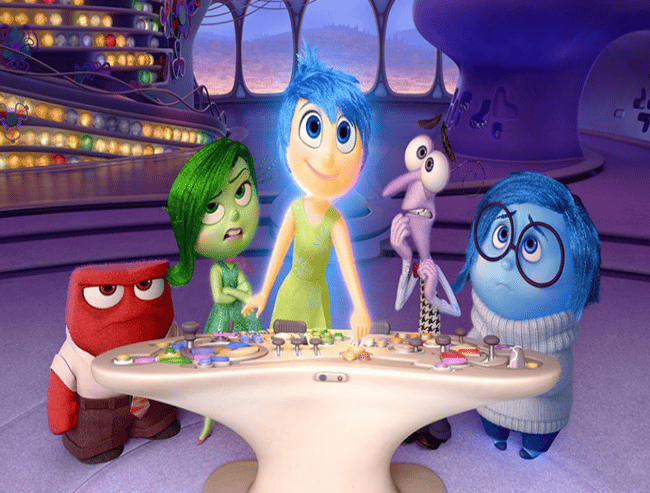 Why young boys will love Inside Out just as much as the girls. "I have boys and we loved 'Inside Out'." Unless you’ve been living under a rock for the past year you’d know the bit Pixar hit for 2015 was Inside Out and copies of it will now be filling stockings around the country. I knew it would be a big thing when I went to a preview screening with my boys. I thought the same about Frozen, and we all know how that ended up. Unlike Frozen though, Inside Out, seems to have audiences split. When I say best movie ever, I don’t literally mean this is the best cinematic masterpiece that has ever been created I simply mean I walked out of the cinema smiling. My kids were smiling and we all loved the premise behind it. While I can see why some fans are screaming about how awesome it is for young girls to see a female lead I can assure you that little boys can equally enjoy this movie and relate to the female lead. It wasn’t until I read other reviews that I even really considered that. Yes, Riley (the lead character) is a girl but Inside Out isn’t the feminist pow-wow movie that Frozen was. More importantly, though, Riley’s character isn’t just a role model for female audiences, she is a role model for audiences of both genders. I know that because I walked out of the cinema and my two sons told me how much they loved the move and what they had learnt. Some commentators have pulled it a part calling the emotions simplistic and one-dimensional. I think they missed the point completely. For starters they are meant to be one-dimensional they are one single emotion. Secondly, if they were going to explore the mind of an adolescent child realistically they wouldn’t have enough screen time to explain the rollercoaster of complex emotions Riley would be experiencing at this time. There are not enough characters in the world to show what really goes on in our brains. Check out the preview for Inside Out below. Post continue after preview. I think they did very well with the concept and chose the right emotions to represent. Emotions are not gender specific, and my sons walked out having a better understanding of how emotions work and how sometimes emotions like anger and disgust win over joy. A few weeks since we saw Inside Out, my boys were still talking about it. I asked my son what his favourite part was but he couldn’t choose. “I liked all of it, I can’t pick.” On further pushing he told me he loved the idea of the islands and his favourite was ‘Goofball’ island because everybody has a Goofball island like Riley. At least in our family they do. Maybe some of the concepts are going to go over the child’s heads but that’s the case for every children’s movie. That said, even my seven-year-old understood what the ‘puberty’ button at the end meant. I just told him no movie would be long enough to cover what goes on in the brain during puberty. Have you seen Inside Out? Did you like it?